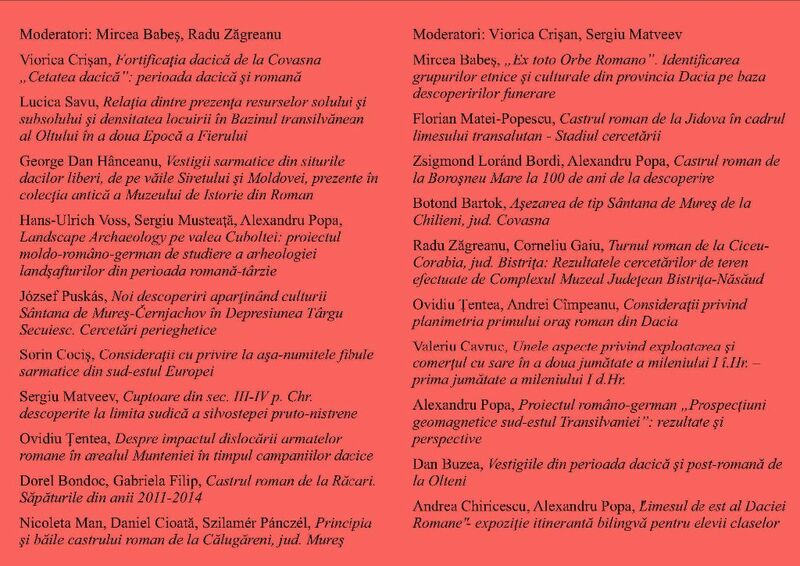 The principia and the bath of the Roman auxiliary fort from Călugăreni was the subject of a presentation delivered by three colleagues of our team at the conference “Romanii și vecinii lor din zona Carpaților Orientali (sec. I-V p. Chr). Sesiunea Științifică Anuală a MNCR, ediția a XI-a” (Romans and their neighbors from the Eastern Carpathians (1st-5th c. A.D.). 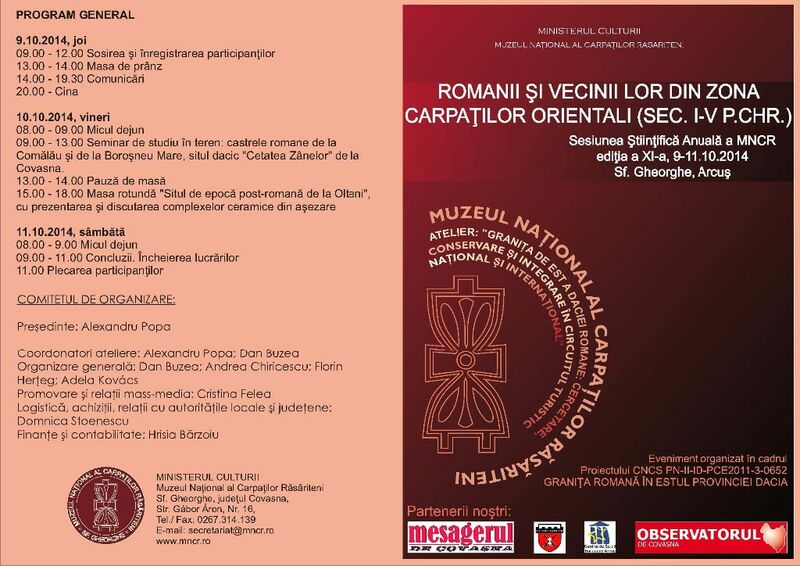 The Annual Scientific Session of MNCR, the 9th edition) organized by the National Museum of the Eastern Carpathians (Muzeul Național al Carpaților Răsăriteni) in Sfântu-Gheorghe, on the 9th-11th of November 2014. Problems and aspects related to the general topic of the conference (landscape archeology, Sarmatian type brooches, geomagnetic surveys, Roman forts) were discussed during this national session.